Two-year-old girls enjoy many types of presents. 2 What Should I Get My One Year-Old Niece for Her Birthday? If you're shopping for your granddaughter who is turning 2, you can find a variety of toys and other goodies that she's sure to love and won't break the piggy bank. Toddlers are usually easy to please -- even if they sometimes love the packaging more than the gift itself -- but certain types of toys cater to their particular developmental stage. Books are perfect for kids of all ages, and 2-year-old children are no exception. For a toddler, look for colorful and engaging board books. They will withstand a toddler's determined manipulation, whereas a book with paper pages will wind up in a crumpled pile in her bedroom in a matter of minutes. Books that have simple stories with repetitive lines will delight her, but there is no guarantee that mom will love reading them over and over again. A 2-year-old is a sturdy walker, so a toy that will enable her to toddle around, either while pulling or pushing, is sure to please. Toy shopping carts are a big hit because not only can she push it to her heart's content, but she can load and unload all of her other toys as well. Other ideas are toys that mimic equipment adults use such as vacuum cleaners and lawnmowers. Dolls allow a toddler to take on the role of mommy so a baby doll makes an excellent choice. 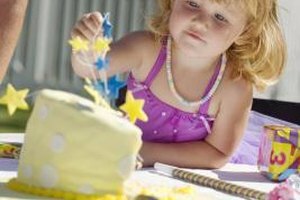 Two-year-olds can handle a little bit more decoration and accessories than their younger counterparts -- as long as you keep in mind that toddlers can still choke on small objects -- but it's fine to keep your purchase simple, too. A doll, a small bed and a blanket will keep your granddaughter busy for months and possibly years to come. You can buy a complete dress-up box from the store or put one together yourself by sifting through your own closet for unused clothing items. 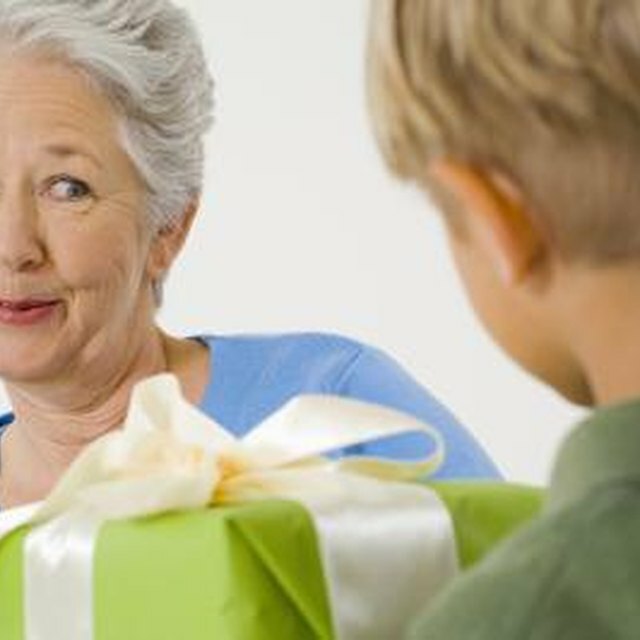 Shoes, shirts, ties, dresses and hats will make dress-up day an event your granddaughter looks forward to. Shop thrift stores for cheap Halloween costumes or come up with your own -- a tutu and a wild west vest? A mirror to hang on the back of her bedroom door makes the gift even better. Consumer Products Safety Commission: Which Toy For Which Child? Monica Beyer has been writing professionally since 2000. She is the author of two books on baby sign language, "Baby Talk" and "Teaching Your Baby to Sign." Beyer's writing also appears in various online publications. She holds a Bachelor of Arts in English from Missouri Western State University.